I didn't find burnedfurniture - this seller found me! And am I ever glad they did - their woodburning work is exquisite. I absolutely love these chopsticks! 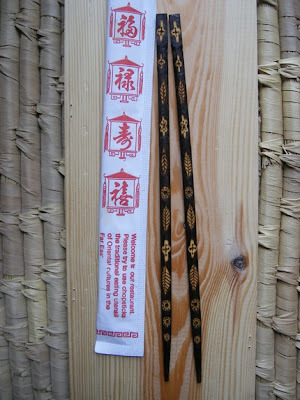 Amanda, thanks so much for linking my humble chopsticks to your lovely blog! Item of the day: Airplane. Bird. Freedom.